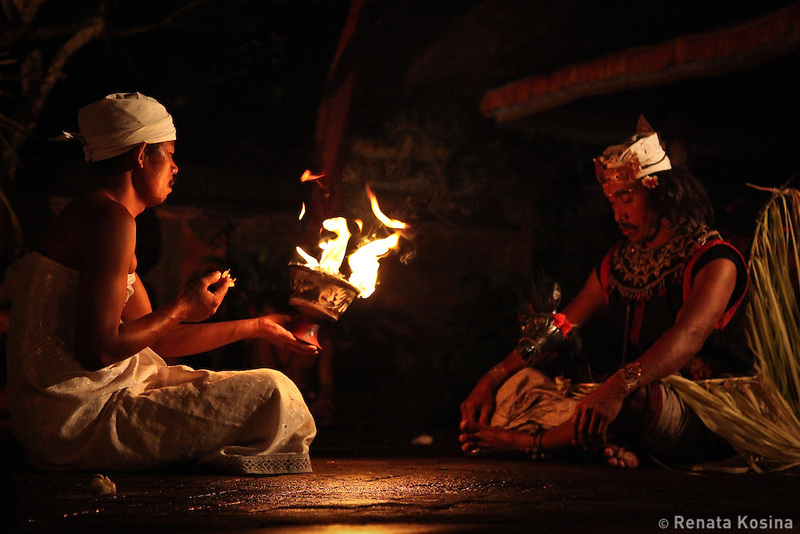 Kecak dancers in Batubulan light a fire for the culmination of their performance. Kecak is the most unique Balinese dance in which instead of music 100 men chant Cak. In the 1930s Ramayana story was added to the original trance dance.